On the way back from Wagga, I stopped in at the Narrandera Wetlands. Not many water-birds there at all, just a few Pacific Black Ducks, Purple Swamphens, etc. It was in the middle of the afternoon, so that may have not helped. 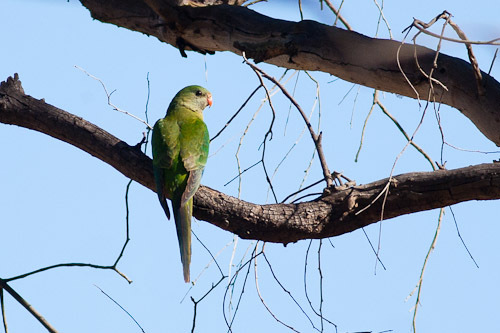 The female Superb Parrot is dull green, with no red crescent on the breast. It has no yellow. 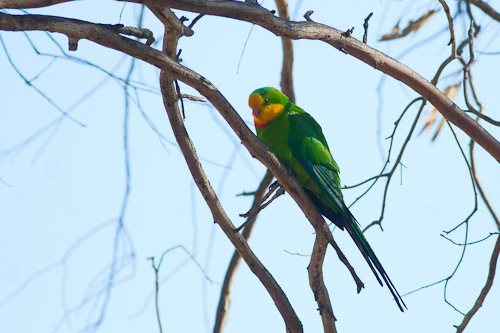 The Superb Parrot is part of the Polyteline group of parrots. They are like Eastern Rosellas, with extremely long tapered, pointed tails and they scratch over the wing. They used to be known as the Barraband Parrot. The male is green with a yellow crown and throat, with a red crescent bordering yellow on the upper breast. They feed mainly on grass seeds, other small plants and eucalypt nectar. Their range is restricted to mainly the Murray and Riverina region. This is the flaveolus race of the Crimson Rosella, commonly called the Yellow Rosella. 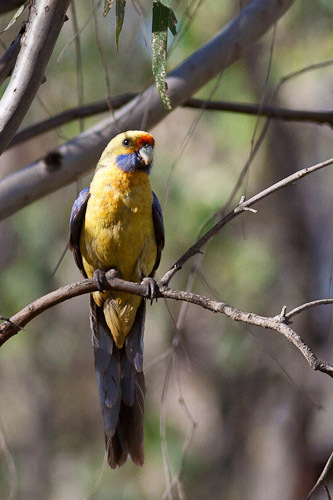 It was formerly known as the Murray Rosella and its range is around the Murray and Riverina areas. There were a couple of these feeding in the wetlands. Very easy to mistake these for Blue-faced Honeyeaters at first sight, but only superficially similar due to the blue patch around eye. 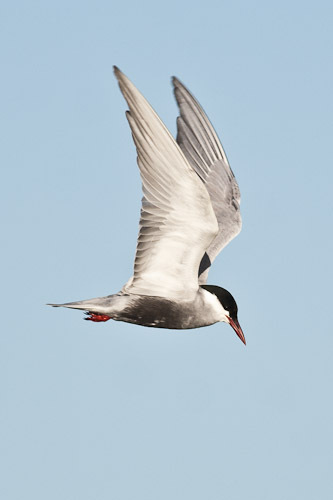 I finally got the camera out to take some shots of the Marsh Terns that have been feeding every afternoon on the lake right in front of my lazy arse. Lake Wyangan is about ten kilometers from Griffith and is a man-made lake that used to be a quarry once upon a time as far as I know. 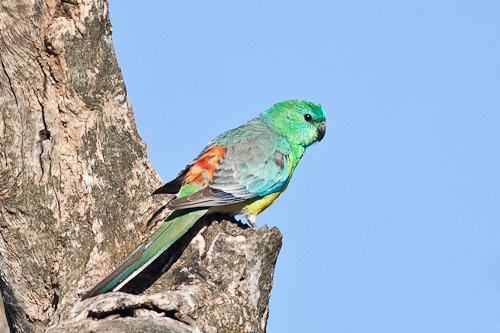 There are lots of Red-rumped Parrots flying around the camp site and at the edges of the lake. I have also seen the occasional Cockatiel. 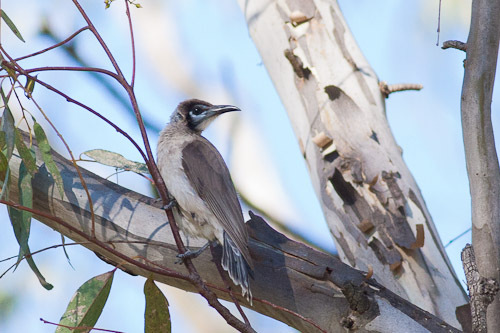 Other birds include Yellow-necked Miner and Blue-faced Honeyeater, though there are not many of them around at the moment. Maybe in a few weeks time. 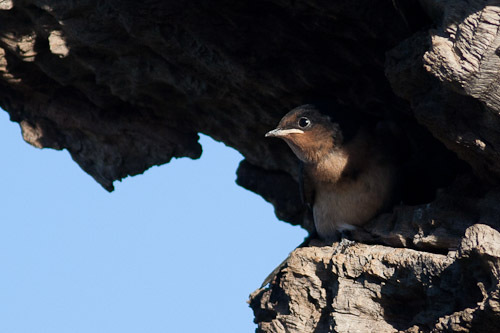 I could not resist this cutesy shot of a baby Welcome Swallow in the hollow of a dead tree sticking out of the lake. awwww. 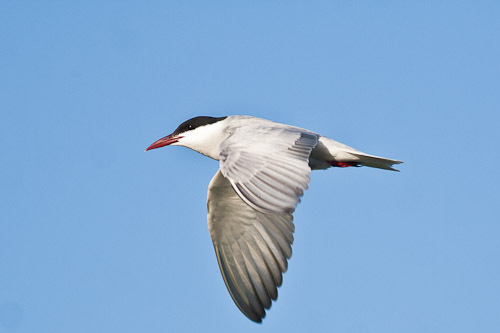 The Whiskered Tern is also known as the Marsh Tern. Most of these birds I saw were breeding birds with the black belly. Non-breeding birds have a white tummy and the black cap looks more like a receding hair line. 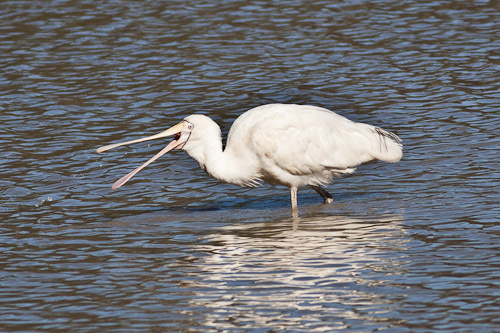 Their habitat is shallow freshwater wetlands, flooded saltmarsh and estuaries.